Prenatal Vitamins are a good source of Calcium, one of the most important minerals in your body, and Vitamin D, which assists in the absorption of Calcium. 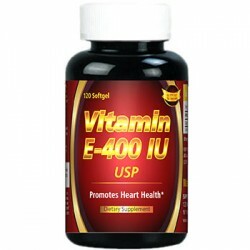 ** In addition, Prenatal Vitamins contain Iron, a vital component of hemoglobin that plays a key role in energy metabolism. 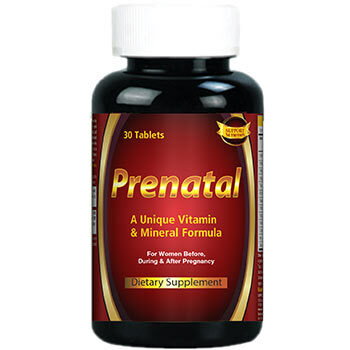 ** Prenatal Vitamins also contains Folic Acid, an important vitamin for women. ** Healthful diets with adequate folate may reduce a woman’s risk of having a child with a brain or spinal cord birth defect. Other Ingredients: Vegetable Cellulose Contains <2% of: Calcium Silicate, FD&C Blue No. 1 Lake, FD&C Red No. 40 Lake, FD&C Yellow No. 6 Lake, Gelatin, Titanium Dioxide Color, Vegetable Magnesium Stearate, Vegetable Stearic Acid. 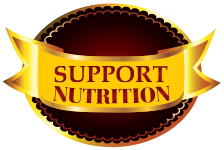 Contains fish (cod, pollock, haddock, hake, cusk, redfish, sole, flounder) ingredients. WARNING: If you are pregnant, nursing, taking any medications or planning any medical procedure or have any medical condition, consult your doctor before use. Discontinue use and consult your doctor if any adverse reactions occur. STORE IN A DRY PLACE AND AVOID EXCESSIVE HEAT. TAMPER RESISTANT: DO NOT USE IF SEAL UNDER CAP IS BROKEN OR MISSING. WARNING: Accidental overdose of iron-containing products is a leading cause of fatal poisoning in children under six. KEEP THIS PRODUCT OUT OF REACH OF CHILDREN. In case of accidental overdose, call a doctor or Poison Control Center immediately.